excerpts: At the present age the same fight between two rival parties of politicians without any guidance of the transcendental direction of Godhead is merrily going on at the expense of the innocent poor people of the world and as such Sree Krishna has descended again in the shape of Geeta Nagari with the same purposes of saving the faithful and annihilating the unbelievers as He did in the battlefield of Kurukshetra..................The Geeta Nagari will therefore be the main preaching centre of the Supreme Authority of Sree Krishna the Personality of Godhead...................It is therefore desired that the authorities who shall guide the activities of the Geeta Nagari may make such organised effort as will help this mission of the Geeta Nagari on a permanent basis. 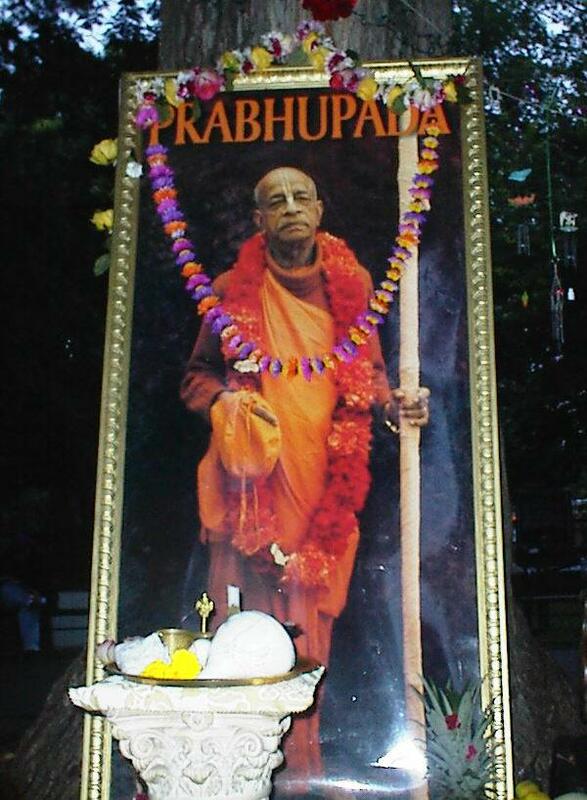 The whole idea is that we are Iskcon, a community to be independent from outside help. You'll be pleased to learn that along with the Hare Krishna Movement in the foreign countries, we are taking care of cow protection very vigorously. There are already dozens of such centres and farms where we are protecting cows like our ........................... altogether over 14 such projects have been started throughout the world to date. Our cows are happy, therefore they give plenty of milk. Vedic civilization gives protection to all the living creatures, especially the cows, because they render such valuable service to the human society in the shape of milk, without which no one can become healthy and strong.